WebRenderer is one of those SDK’s that can appear overwhelming on first look. For this reason we always shipped a “bare bones” Test Browser (TestBrowser.java) with the product. The Test Browser has at times baffled people due to it’s lack of features. The Test Browser was “featureless” by design as we wanted to keep the starter example code as compact as possible so that developers could embed WebRenderer in just a few lines of code. This is important as we never wanted the learning curve and integration to be an overwhelming process. With that being said, for some time now our WebRenderer developer team has been utilizing a “Test Browser” that is rather substantial (130 classes) when compared to our standard Test Browser (one class). This test browser has been dubbed “Rich Test Browser” by the developer team. Given the amount of WebRenderer features demonstrated by the Rich Test Browser we thought it appropriate to publish the browser for all to use. The Rich Test Browser can be downloaded and includes both binary and source code. 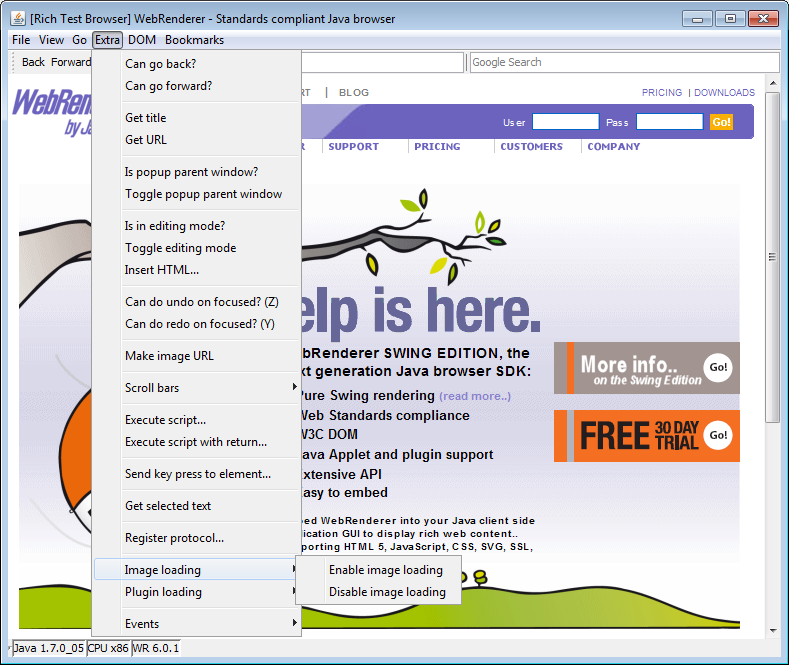 Feel free to download a copy of the Rich Test Browser (including source code).